Following on from the tale of the mysterious paper cup at Edinburgh’s literary art festival, Tea with Mary Kate was enthralled to discover the talented Cecilia Levy’s beautiful artistic tea cups. 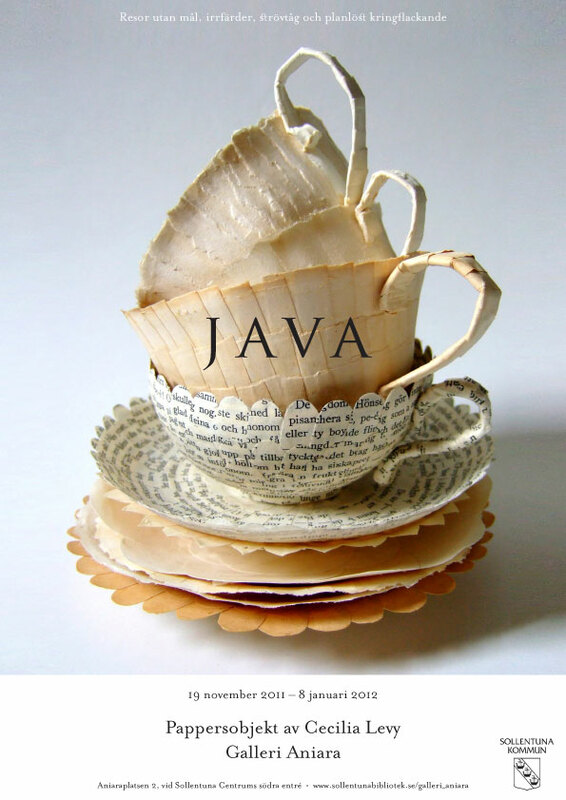 Despite not being, ahem, terribly practical for the purpose pf drinking tea (they are being made from recycled books) my dears, they are none the less just so beautiful I had to share them with you. You have my greatest admiration Cecillia.